Try our safe and effective 10 Day Detox Program to feel and function your best! Are you ready to rid your body of stored toxins, increase energy levels, decrease food cravings and/or improve your body's ability to lose weight? 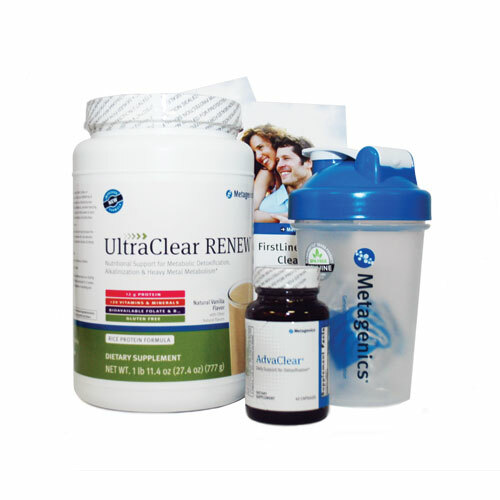 We offer the Clear Change Program by Metagenics which was developed to support the body’s process of natural metabolic detoxification. This clinical-grade cleanse allows the body to remove the build up of unwanted compounds and ultimately allowing your body to thrive like it was meant to. 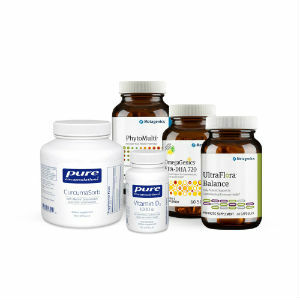 Our 10 Day Clear Change Detox Kit can be purchased online or in the office. Click Here to access our Online Store. Includes Basic 10 Day Detox program, 4 Infrared Sauna sessions, Nutritional Consultation, and includes a clinical-grade Bioelectrical Impedance Analysis (BIA) for measuring body composition (lean mass and fat mass) as well as total body, Intracellular, and Extracellular water levels. This gives great feedback regarding ones physical status and also looks at inflammation and toxic burden. Dr. Kremer recommends a cleanse or detox at least once a year to enhance your body's metabolic pathways and clear out some of the unwanted toxic burden from environmental and chemical stressors. This program also helps to target potential food sensitivities through removing, then slowly reintroducing some of today's common problematic foods. The build-up from the chemicals and pollutants of today's modern world can compromise the way your body functions and can have severe adverse effects on your health. The initial signs of this burden often present with feeling physically or mentally fatigued. Gradual weight gain soon follows and "brain fog" or irritability become the everyday norm. Much of this can be corrected through simply supporting your ability to rid the body of these harmful and unwanted compounds. Most people are familiar with the concept of detoxification, but there is often confusion around how to do it, is it effective, and is it safe. The popular "Juice Fast" and other types of cleanse or detox programs often lead to muscle wasting and increase fatigue while ultimately having a detrimental effect on metabolism. Our bodies require macronutrients, such as proteins and fats, to support optimal organ function and specific vitamins, minerals, and phytonutrients to provide targeted support for individual detoxification pathways while keeping up strength and energy. Our Basic 10 Day Detox program enhances the body’s natural metabolic detoxification process and provides the nutrients for both cleansing the body and keeping a strong mind and body for your busy life schedule. The program includes Functional Medicine based nutritional recommendations for balanced metabolic support, along with a comprehensive eating plan that removes common foods that are often associated with inflammation or sensitivities. Best of all, you can still eat and enjoy a variety of foods without going hungry. The "Sweat Package" includes the 10 Day Detox program plus incorporates 4 Sunlighten Infrared Sauna sessions to further enhance detoxification, lower blood pressure, and promote weight loss among multiple other benefits. If you'd like further guidance and assistance during your journey to improve your overall level of health and wellness, sign up for our affordable "Supreme Package" which includes the 10 Day Detox program, 4 Infrared Sauna sessions, and a Nutritional Consultation with Cassie which includes Bioelectrical Impedance Analysis (BIA) to determine body composition (lean mass and fat mass) and also measures total body, intracellular, and extracellular water levels.